Mic laid off 25 employees to become a "leader in visual journalism" this past August. In a memo to company staff, co-founder and CEO Chris Altcheck said visual journalism accounts for 75 percent of the time viewers engage with the news outlet. The company also announced it had plans to hire producers, on-camera correspondents and other positions to enhance its video team. MTV News dismissed fewer than 12 staff members as well as additional freelancers, Variety reported in June. The move was a major shift in strategy, as MTV News had earlier acquired several writers from Grantland. In fact, Advertising Age noted that MTV hired more than two dozen reporters over the end of 2015 and the beginning of 2016. Fox Sports also eliminated approximately 20 writing and editing positions in June and replaced them with video, Bloomberg reported. The move may have been an attempt to mimic the success of ESPN, whose video content significantly boosts its online audience. These weren't the only companies to make such moves - Voactive and Mashable and also turned their attention to video recently. All of these industry shakeups make it worth considering video's future place in online publishing and how this content will affect subscriptions. Why are media outlets switching to video? Depending on the data, laying off editorial staff in favor of video content is either an extremely unwise move or the only way online publications - aside from longstanding institutions like The New York Times and the Washington Post - can survive the modern era. On the one hand, consumers consistently voice displeasure at video-first strategies. They're more irritated by 30-second online ads than by television commercials, and research from Pew suggests they don't consume as much video content as publishers think. According to one study, 42 percent of Americans ages 18 to 29 prefer reading online news compared to 38 percent who would rather watch it. These results run counter to MTV News' justification for restructuring; the company heralded video as the cornerstone of its strategy to attract younger consumers. 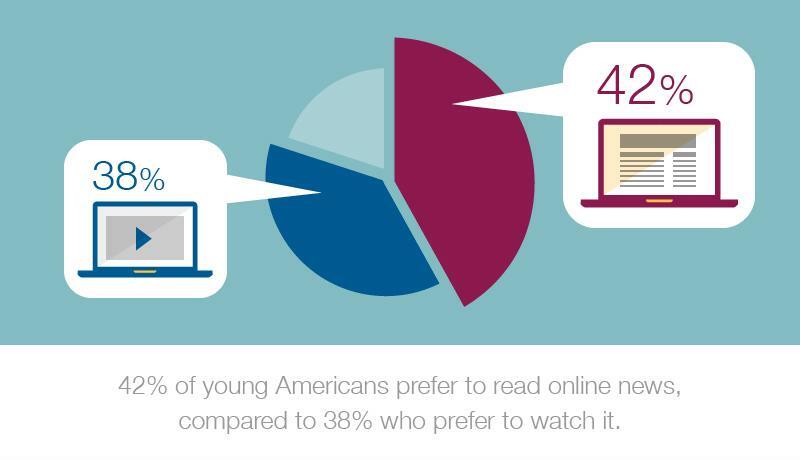 Consumers slightly prefer reading the news to watching it. On the other hand, video is arguably the best way to compete for ad revenue in a world where Google and Facebook dominate the market. It's much easier for videos to spread virally than news articles, which require more time and interest on the part of the customer. Increased viewers means higher engagement, which advertisers are very much attracted to. Per Bloomberg, advertisers are so interested in video that publishers bank on them flocking to websites that switch to such a strategy. "No site is 'pivoting to video' because of audience demand," journalist and online news publisher Josh Marshall tweeted, according to Bloomberg. "They are pivoting to video because the industry is in the midst of a monetization crisis." Still, despite this proclamation, the majority of Mic's audience engagement comes from video, as noted above. This is just one publication of many, but it's possible other news outlets saw similar metrics. What does this mean for subscriptions? 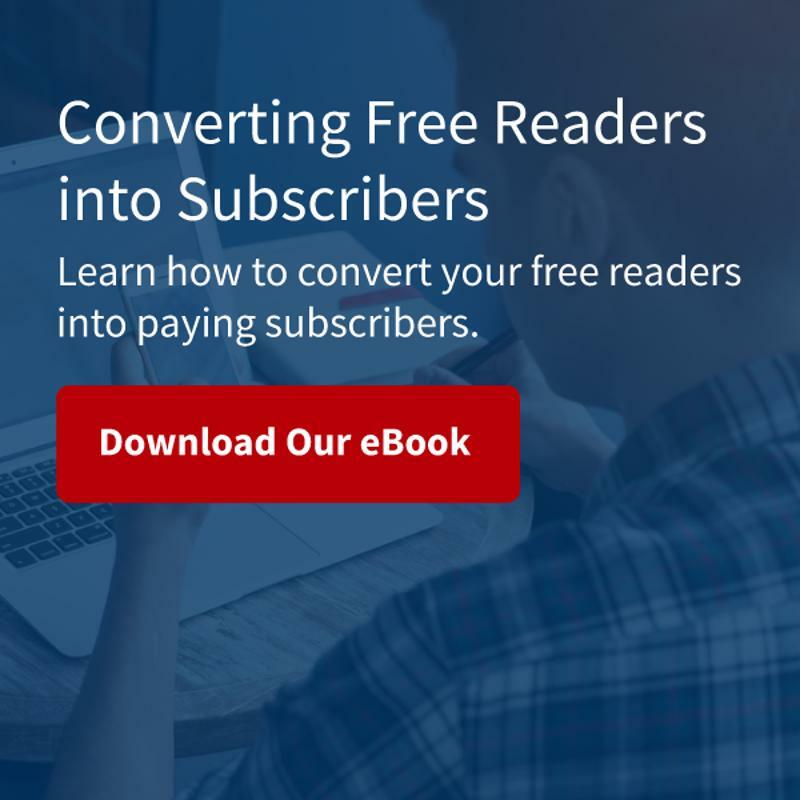 This strategy once again draws attention to the role of subscription billing in online publications. Successfully monetizing video ads will only work if advertiser interest is high enough to offset consumer displeasure. Of course, if viewers are angry enough to migrate away from video and turn back to written content, firing editorial staff will ultimately have been a bad move. Regardless of advertising's place, news publications will always need a dedicated set of subscribers to guarantee a stable source of revenue. Subscriptions bring more than money - they let content providers make stronger revenue predictions, which is helpful for planning future strategy. While video content should certainly be explored, publishers shouldn't forget to encourage viewers to become paying subscribers. OTT partnerships vs. independent products: Which is better?